GALION — The Galion City Schools student are barely a month into the 2017-18 school year, and already community service is on the minds of students. The fifth-grade class at Galion Intermediate School is ready to start a year-long campaign to help the residents of Signature Healthcare of Galion. The campaign, which begins Friday, Sept. 8, involves students at the Intermediate School dressing down on select days for just 25 cents, which means students can wear a shirt of their choice to school Sept. 8. The fundraising campaign will run throughout the 2017-2018 school year. Dates include: Sept. 8, Sept. 22, Oct. 6, Oct. 20, Nov. 3, Nov. 17, Dec. 1, Dec. 15, Jan. 5, Jan. 19, Feb. 2, Feb. 16, March 2, March 16, April 6 and April 20. The students intend to purchase items such as word search puzzle books, Sudoku books, playing cards, blankets and other items that the residents may need. Students will work with Charlene Parkinson, the district’s treasurer, to count the money raised each month and to prepare the funds for deposit in the bank. For more information about this community service project, please contact Paula Prince at prince.paula@galionschools.org or Intermediate School Principal Alex Sharick at sharick.alex@galionschools.org. Courtesy photo Galion Intermediate School fifth graders visited nursing homes in Galion during the holidays to sing Christmas carols. This year’s fifth-grade class is taking community service efforts a step further for residents of Signature HealthCARE of Galion. 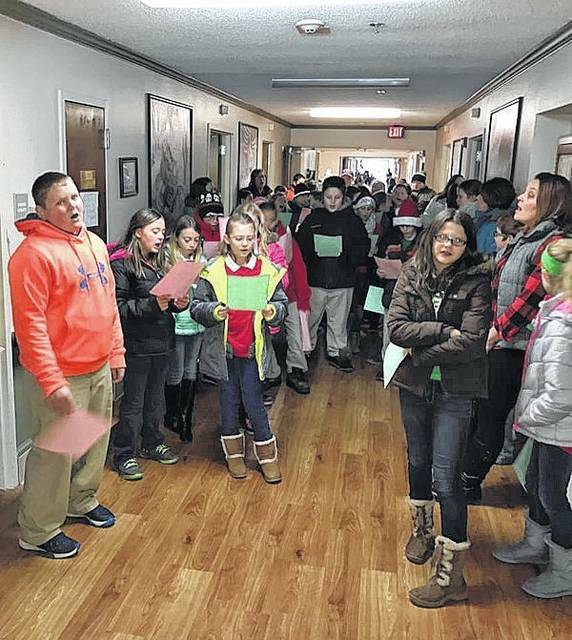 https://www.galioninquirer.com/wp-content/uploads/sites/38/2017/09/web1_galion-5thgrade-caroling.jpgCourtesy photo Galion Intermediate School fifth graders visited nursing homes in Galion during the holidays to sing Christmas carols. This year’s fifth-grade class is taking community service efforts a step further for residents of Signature HealthCARE of Galion.